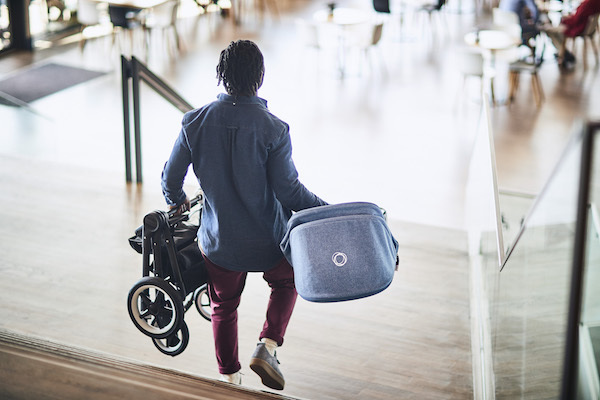 The recently-released Bugaboo Fox pram is every bit as smart, adaptable and nimble as its namesake. Designed to adapt to your lifestyle, the ultra-light Fox has raced ahead of the pack, with a robust yet compact design that’s cleverly built for comfort and style. 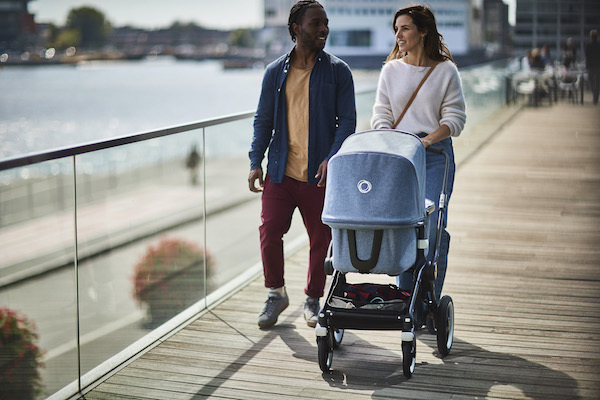 Combining Bugaboo’s famous good looks with designed-to-last features, this pram says “YES!” to any parenting adventure you’re game to throw at it. The Fox provides the most comfortable stroll ever, and it’s all down to clever design. Large wheels ensure a smooth and stable ride on all surfaces. You can even position the wheels for trickier terrain like snow or sand. Cushioning central-joint suspension makes the Fox a dream to manoeuvre and guarantees the ultimate comfort for parent and child. Tight spots, sharp corners and busy streets are all a brilliant and bump-free breeze. Did we mention it has one-handed steering?! Yep. It’s the perfect thoughtful feature for those foggy mornings when clutching a cup of coffee is a non-negotiable. The Fox also features a generous underseat basket to stow important bits and bobs in, and comes with a PVC-free rain cover and sun canopy to keep the elements at bay. A five point adjustable harness keeps your baby snug as a bug, and the flip-flop foot brake is a cinch to apply and release. Parents can customise the Bugaboo Fox handlebar height in seconds while the reversible, reclinable seat lets baby ride forward or rear-facing. Not only does the Bugaboo Fox feature the lightest push you could hope for, it’s lightweight too (under 10kg!). This makes it really easy to lift into the car, on public transport or up stairs. It’s got a clever one-hand, easy-open fold in case you’ve got your hands full of things or other children. It’s super simple to fold down and stow away too. 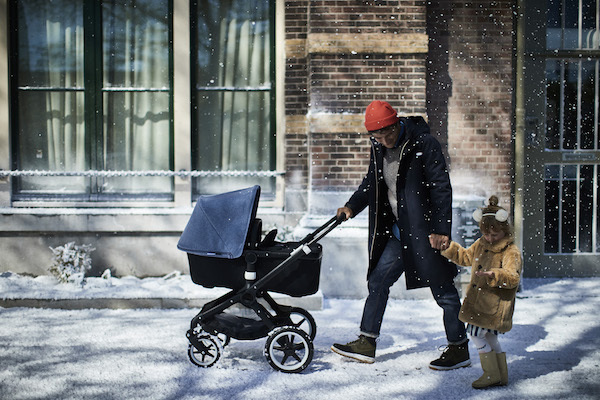 The Bugaboo website lets parents to “click and customise” the pram canopy, bassinet and seat fabrics, grips and wheel caps, mixing and matching over a dozen fashionable patterns and colours to create your own unique look. This is also excellent news for mums and dads who want to refresh or update their pram, as their family grows. The Bugaboo Fox incorporates durable, recycled SPF50+ fabrics. They’re hardworking, stylish and easy to clean. 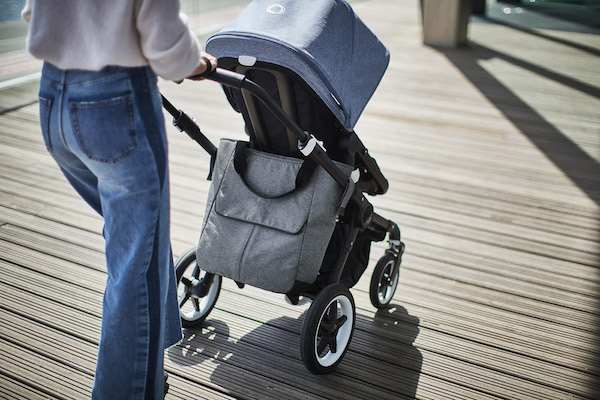 Subscribing to the ‘buy once, buy well’ school of thought, all Bugaboo products are responsibly designed to last. 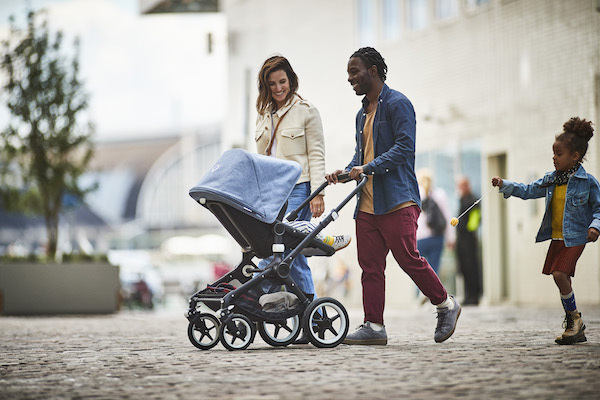 Boasting a sturdy marine-grade aluminium frame, the Fox’s premium quality ensures Bugaboo prams have excellent resale value. It’s good to note that once you’re in the Bugaboo gang, you’ve made a lifelong buddy. The brand’s helpful, expert after-sales service for all their prams provides continuing support for active families. Starting from $1799, the Fox is made to match your lifestyle, whether you’re shopping, travelling or adventuring outdoors. It’s never been easier thanks to the smoothest ride, the lightest push and the best driving performance ever!